Patch of Land, the Los Angeles-based real estate crowdfunding platform has recently announced the completion of a $23.6 million round of Series A funding. Leading the round of funding was SF Capital Group. The firm has previously issued approximately $17 million for funding of short-term commercial real estate loans. Patch of Land now has its sights set on institutional lenders. Currently, the firm reports generating annual returns of up to 18 percent. Such returns could be enough to attract the attention of institutional investors. In the past, the crowdfunding site has primarily attracted high-net worth accredited investors for funding its lending platform. 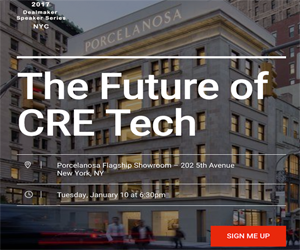 To date, Patch of Land has brought in about 1,000 such accredited investors who have participated in funding for almost 90 renovation projects. Many of those projects are repaired and sold quickly; often termed as flip projects. These are often projects that traditional banks are unwilling to fund, typically due to weak credit. This leaves a significant amount of opportunity crowdfunding platforms such as Patch of Land as well as investors who are willing to take on high risk projects in exchange for high returns. One of the reasons that Patch of Land has experienced such success is the fact that its underlying technology has streamlined the underwriting process, shortening it to about five days. This is a significant difference compared to traditional forms of lending, which can often take weeks if not months for funding to be approved and completed. With its latest round of funding, Patch of Land plans to expand its current operations to fund longer-term loans, including those in the three-to-five-year loans, and construction loans. The firm is also planning to potentially court unaccredited investors as it transitions into its next stage of development. Such investors are those with an annual income that does not exceed $200,000 and who have a net-worth under the $1 million mark. The ability to include unaccredited investors in crowdfunding opportunities in the past has been primarily due to delays from the SEC. Should the SEC finally make it available for unaccredited investors to participate in crowdfunding opportunities, this could lead to vast new investor avenues for crowdfunding platforms such as Patch of Land. The crowdfunding platform is one that has continued to evolve and expand over the past couple of years, as developers seek alternative lending opportunities and investors seek out higher returns. Based on the concept of pooling money together online for the purchase of individual properties, real estate crowdfunding has made it possible to open up real estate investments to a far greater number of people than was previously made possible through traditional investing. Crowdfunding also frequently provides far more transparency, giving prospective investors the ability to glean vital information about prospective real estate investments. Access to such information was typically only available through offline contact with traditional forms of real estate investing.